I found an awesome blue crystal bead ( half of a pair of earrings I used to have- I seem to have lost the other half). 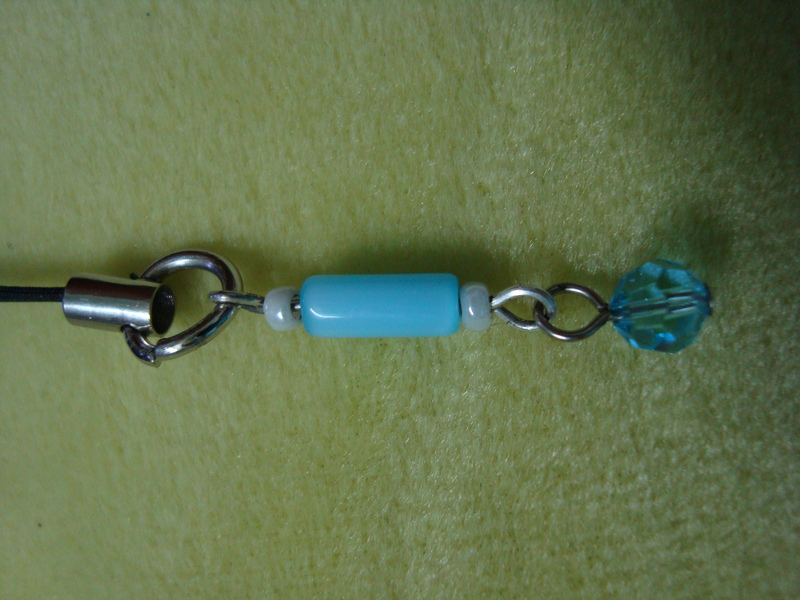 I added some small white beads and a turquoise blue tube bead- also from another orphaned earring. I took the lariat or charm holder cord from a free charm I received from Vodafone at some college event (Yes I hound stuff like that….but who doesn’t?). 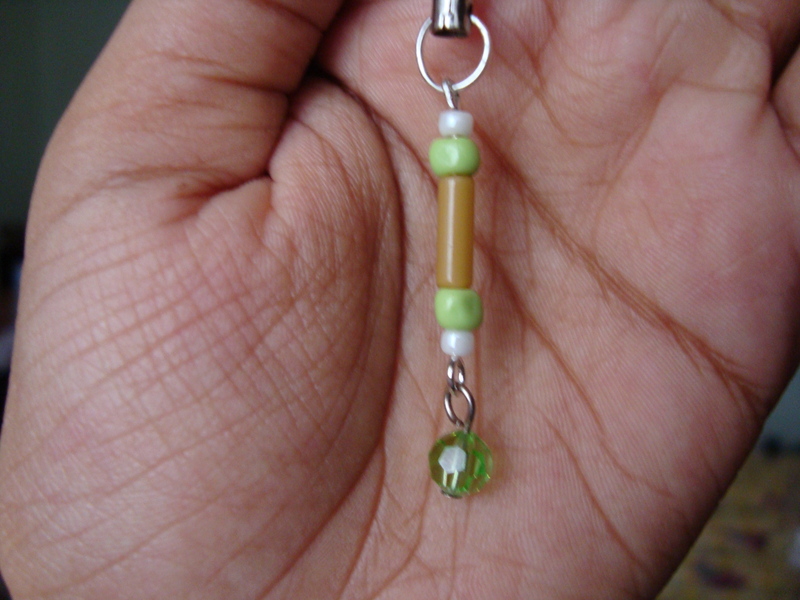 My colleague saw my charm and asked for one for herself..I had a nature theme in mind and was inspired by two more orphaned earrings- one with a brown tube bead and the other a light green crystal bead. I added two tiny white beads for balance so that the brown and green combo didn’t seem too “tree-like”. I gave this charm to her today and she has already put it on her phone!! Very cool charms. You have some wonderful talent. Yeah am trying to get some peace in my life! !